The 2017 Kokoda Day commemoration at the Walkway was a well attended special occasion. 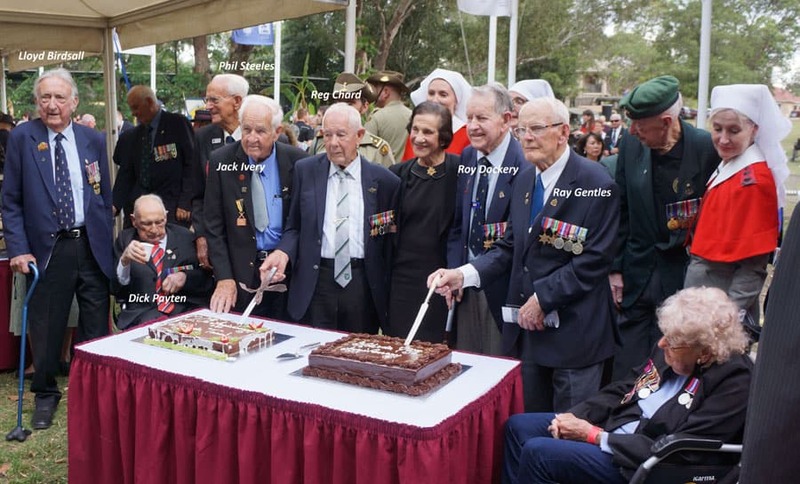 Two anniversaries were marked; the 75th Kokoda Day, and the passing of 20 years since the inauguration of the Kokoda Track Memorial Walkway. The day began with the arrival of World War II veterans in a convoy of period jeeps. Looking remarkably sprightly for their 90 plus years, these representatives of a great generation, actively took part in the day’s proceedings with a sense of duty and quiet dignity, typical of those who have seen much and experienced long lives. 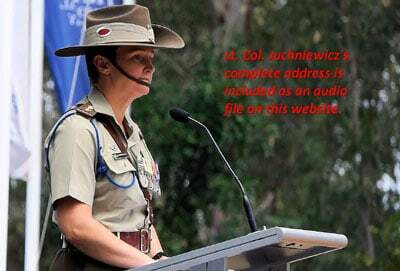 The Kokoda Day Address was fittingly delivered by the commanding officer of the 39th Operational Support Battalion, Lt. Col. Kimberiea Juchniewicz. It was this unit’s forebear, the 39th Militia Battalion , that played a pivotal and courageous role in the hard-fought New Guinea Campaign of 1942. The Lieutenant Colonel’s address gave a graphic account of the military actions leading up to the re-entry of Australian troops into Kokoda Village, and the raising of the Australian flag on the following day. The accompanying 22 minute video of the day, provides excerpts from the Address. The “Koasties” choir from Papua New Guinea, and a number of costumed dancers, greatly enriched the commemoration, and were a fitting reminder of the strong links formed during the Second World War, when citizens of PNG gave their all as stretcher bearers to assist the transport of wounded Australian soldiers across difficult mountain terrain to proper medical care. 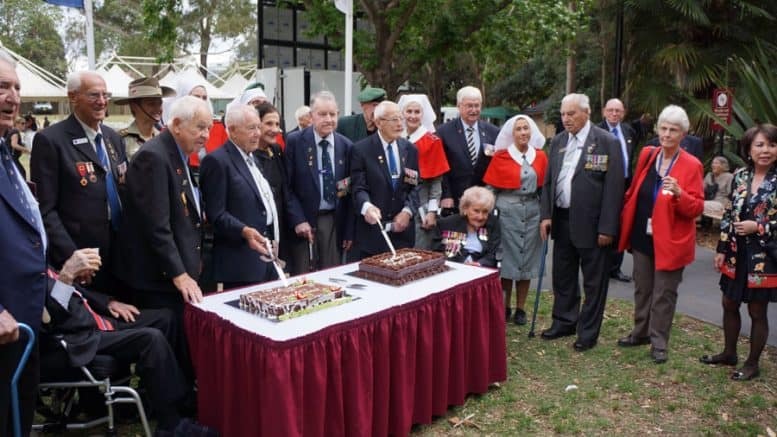 Two cakes were cut at the conclusion of the service; one for the 75th anniversary Kokoda Day, and a second to mark 20 years of the Kokoda Track Memorial Walkway. In those two decades, the Walkway has evolved considerably, first under the inaugural board chairman, the late Mr “Rusty” Priest, and in recent times under Mr John Haines and the current board directors.